Inspired To Change founder Gary Johannes is attempting a 500 kilometre bike around the golden triangle in India in aid of C.A.L.M. is just 4 weeks away and we need your help. 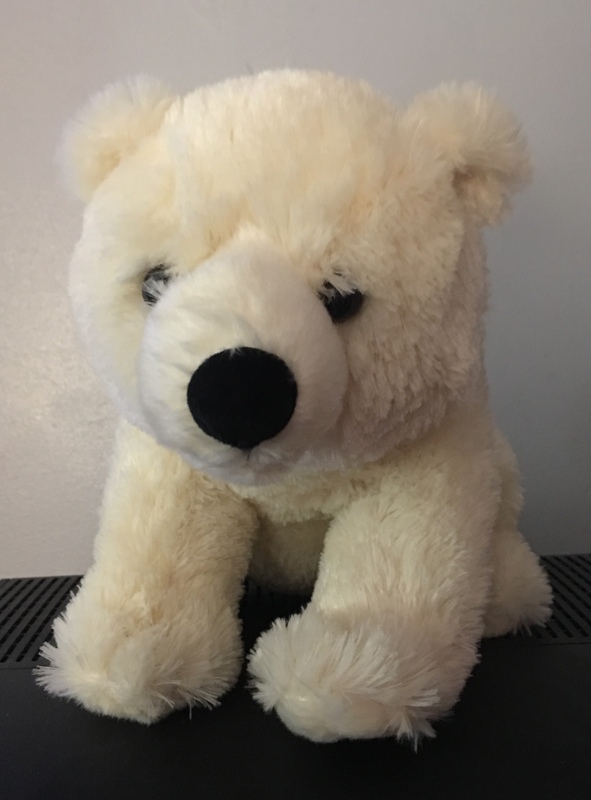 Gary has been given a polar bear mascot to take with him and we would like you, to help name him. Once we have a short list you can vote for the winner too. C.A.L.M. – The Campaign Against Living Miserably is a charity set up with the sole purpose of preventing male suicide, the single biggest killer of men under 45 in the UK. And yes, you did just read that correctly. Gary has a very personal reason for taking on this challenge in aid of C.A.L.M. ; in 2010 he lost a close friend, very suddenly, to suicide. Although his friend never shared how tough life was or asked for help, Gary very candidly admits he didn’t offer support because, at that time, even though he could see something was wrong he didn’t know how to start the conversation. We know men still struggle knowing how to ask for and give support, but C.A.L.M. is helping change that, which is saving lives every year, but we they want to do more. A few years after this incident Gary trained as a hypnotherapist and has now helped thousands of people have better conversations about their mental health and get their lives back on track by understanding how they work. He is a passionate advocate of better conversations around mental health and this challenge is his way of making a big impact by by raising at least £3500 to support the vital work of C.A.L.M. But why a Polar Bear? OK, so this is an in-joke with solution focused hypnotherapists and the clients we have successfully taken through therapy. When we are explaining how the brain reacts to perceived threats we talk about what would happen if we ran into a polar bear on the street. Clients laugh because we aren’t likely to meet a polar bear…and that’s the point. We react to an unexpected bill, the prospect of getting on a plane, talking in front of a room full of people as if we are facing down a polar bear, which is where Solution Focused Hypnotherapy helps. And here’s how YOU can help us in raising awareness of Gary’s challenge and this essential campaign. Come over to the Inspired To Change for CALM Facebook page (put a link to the ACTUAL POST – which you’ll have already put up, put your suggestion in the comments and, if you’d like to, make a donation and/or share the competition, then just follow the page to see if you win. NextCan You Really Re-wire Your Brain?